On account of our vast industry, we are offering Cyclohexylamine Acid to our clients. It is basically an organic compound which belongs to aliphatic amine class. Some of major characteristics of this chemical compound are colorless nature, no contaminants, fishy odor and miscibility with water. This chemical has density 864.70 kg/m3. There is an excellent range of this chemical available with us. It is offered in bulk to our clients. Shreeram Chemical Industries is the sole proprietorship based company that was established in the year 1979 at Kolkata in West Bengal, India. We are the most reputed firm that has been serving various types of chemicals to the multiple industries. Our company is the leading manufacturer, supplier, exporter and trader of Industrial Chemical, Chemical Powder, Sodium Sulphate, Titanium Dioxide, Sulphate Compound, Liquid Chemical and many more products. We export 20% of these products to Ghana. With our rich industry experience of more than three decades, we have been satisfying our customers by providing them world class chemicals at most justified rates. 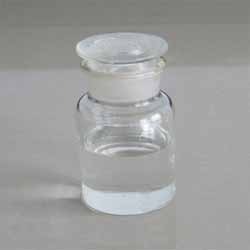 These chemicals are extensively used and highly acknowledged among the customers for their accurate composition, effectiveness, high pH value, purity, non-toxic nature and various other features. Our skilled laboratory experts formulate these chemicals by using quality approved chemicals in an accurate amount. We take these chemicals from our reliable and certified vendors of the industry.